​We welcome all fitness levels. We believe each person that comes through our doors has the ability to do great things – so you’ll never be judged on how you look or how fit you are. No matter where you’re at in your journey – be it one to fitness, wellness or health – we’ll meet you where you are and help you get to the milestone you want. Our programs offer more than a workout. You discover new levels of fitness and you will do things you never thought possible. Every time you walk through the door you will be coached, you will be educated, you will be challenged, you will be motivated and you will be working out with friends. The best value in CrossFit comes when you know you are on the way to reaching your goals. No two people are the same in their needs and abilities so you will never be asked to do anything beyond your ability. We’ll show you exactly what your body is capable of doing. All of our coaches hold at least a CrossFit Level 1 certification, and experienced in training of many different levels so they know what you are capable of accomplishing. They will watch your form, teach you correct techniques, encourage you to log your workout scores and help you improve each and every time you show up at the gym ready to work. We are a close community. ​To our members, we are more than a gym – we are a family that cheers each other on and we pick each other up when down. 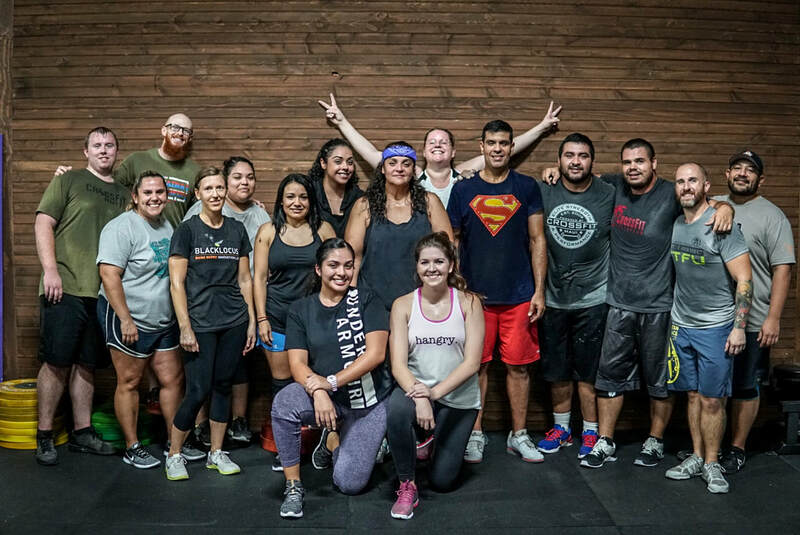 At CrossFit Hutto, you are not just joining a gym, you are becoming part of a greater community full of support, encouragement and acceptance.